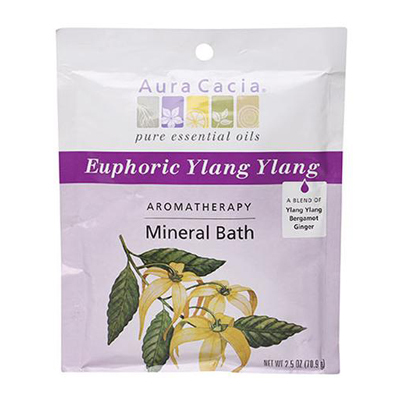 Aura Cacia Euphoric Ylang Ylang Mineral Bath 2.5 oz. 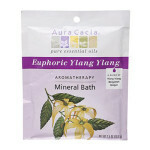 Aura Cacia’s Euphoric Ylang Ylang evokes feelings of a deep, languid calm that melts away anxiety, tension and stress. 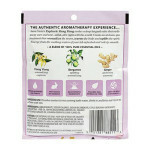 Many find Ylang Ylang to be emotionally uplifting (try it after a stressful day!). 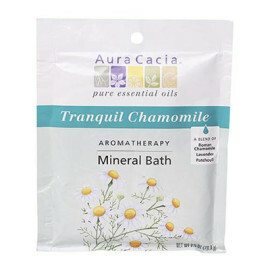 But, it’s also believed to help build immunity and improve circulation. 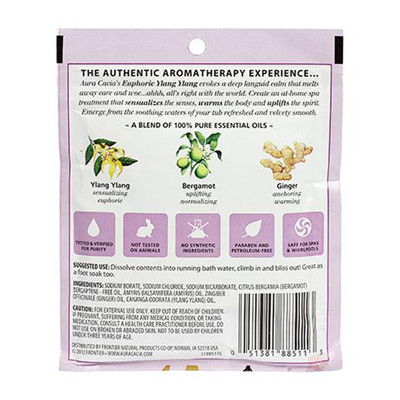 Sodium Borate, Sodium Chloride, Sodium Bicarbonate, Citrus Bergamia (Bergamot) Bergaptene-free Oil, Amyris Balsamifera (Amyris) Oil, Zingiber Officinale (Ginger) Oil, Cananga Odorata (Ylang Ylang) Oil. 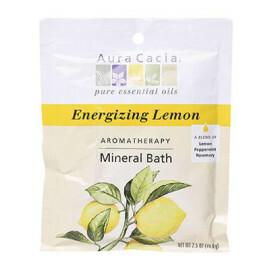 Caution: For external use only. Keep out of reach of children. 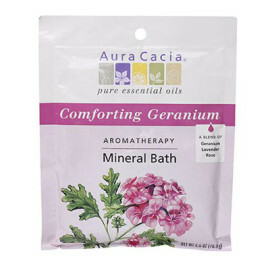 If pregnant, suffering from any medical condition, or taking medication, consult a health care practitioner before use. 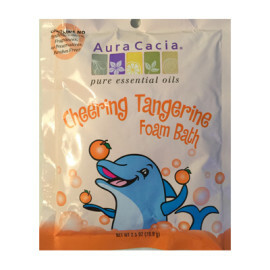 Not to be used by children under three years of age.